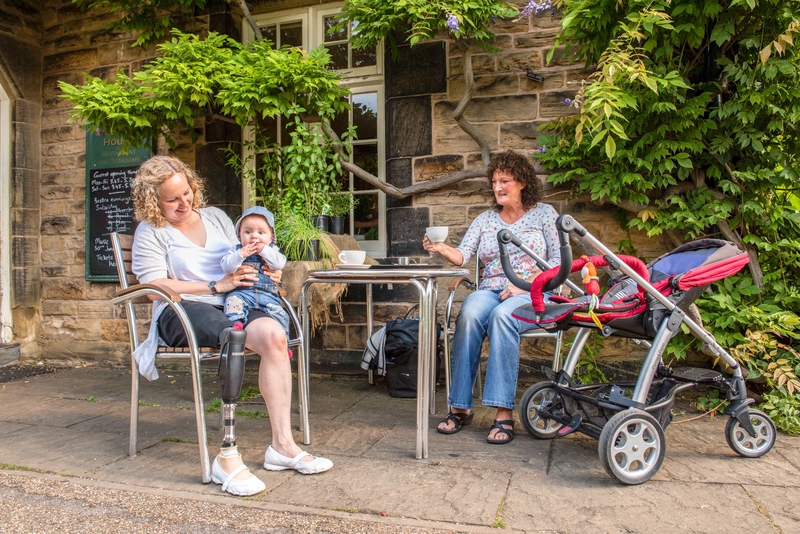 After Becky had been using an IP knee for a long time, her Prosthetist suggested she try an Orion3 which could meet her daily requirements more effectively. Immediately Becky noticed a difference in how it felt and was particularly impressed by how her prosthetist was able to programme Orion3 according to her gait, walking speed and weight. Overall her first impression was how natural the movement felt which in turn made her think less about each step. Becky noted the Supported Sitting feature of Orion3, which is enabled by progressive hydraulic resistance. She explained how this is really useful when she’s holding and sitting down with her youngest boy Max. Becky added, “it means I can spread the weight evenly between both legs and I’m less reliant on my good leg”. As a result, she’s able to rely on the leg more than before and helps to look after her good side, something that’s really important to her as she looks ahead to the future. Amusingly Becky said, “I’m in my 30’s now, but soon I’ll be in my 60’s. Orion3 has also enhanced Becky’s confidence. Before she wouldn’t have the confidence to do ‘step over step’ when walking downstairs but with the progressive resistance, the knee takes the weight as she steps down. 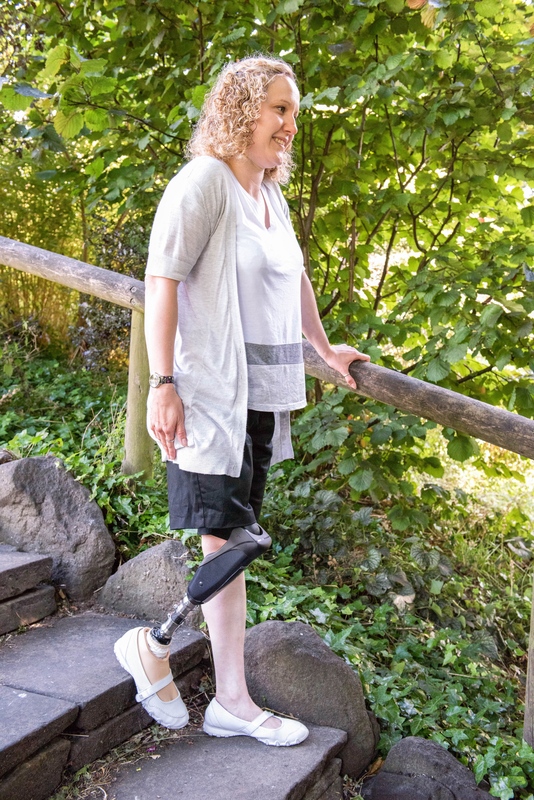 Becky also commented on her increased confidence when walking on uneven terrain thanks to Orion3’s stumble recovery that ensures knee stability in the event of a stumble. In addition, when walking down a slope with the added weight of a buggy, she is confident the knee is able to support her and feel like ‘she’s not running away with herself’. Becky concluded by explaining the importance of confidence in her daily life, “you’ve got to have confidence when you’re walking and carrying a child or drinks or dinner”.